Food Spoilage Yeasts Book from C.H.I.P.S. 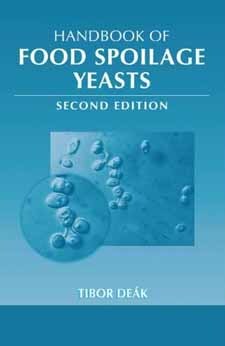 Handbook of Food Spoilage Yeasts, Second Edition extends and restructures its scope and content to include important advances in the knowledge of microbial ecology, molecular biology, metabolic activity, and strategy for the prohibition and elimination of food borne yeasts. It incorporates new insights in taxonomy and phylogeny, detection and identification, and the physiological and genetic background of yeast stress responses, and introduces novel and improved processing, packaging, and storage technologies.